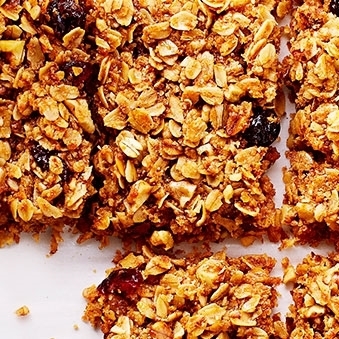 This granola bars recipe makes for a tasty and healthy breakfast. Morning is not the only time to enjoy this. Try it as a snack or dessert. With the tasty flavors of dried fruit, sweet honey and crunchy granola, this is a breakfast bar the whole family will love. This does take some cooking time so plan ahead if you are eating this for breakfast. You can make this on the weekend and then enjoy them all week long. Granola is not just for adding to your breakfast yogurt. Try making these Honey Granola Squares for a tasty way to start your day. With low fat ingredients, fruits and the sweet taste of honey, your taste buds will love waking up to these. Wrap up the leftovers and have one for a mid-day snack. Heat over to 325 degrees F.
In a large bowl, mix together the granola and dried fruits. In a small saucepan, heat the honey, oil and vanilla over medium heat stirring until honey is dissolved. Pour honey mixture over granola and mix together until thoroughly coated. Pack mixture firmly into an 8-inch square non-stick backing pan. Bake at 325-degrees for 40 minutes or until deep golden brown. Place pan on a cooling rack. Cool completely. Cut into approximately 2-1/2 inch squares. The dried fruit is included in the calculation for Freestyle SmartPoints or other points (as they are dried and therefore not zero value). The egg whites were not include in the calculation. 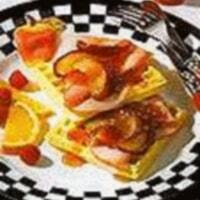 You can use different dried fruits to give this breakfast recipe a new flavor. You can also sprinkle a little cinnamon or nutmeg into the mix prior to baking for some additional flavor. For more breakfast recipes like this try these Blackberry Breakfast bars. Try this granola bars recipe that uses fruits and nuts. 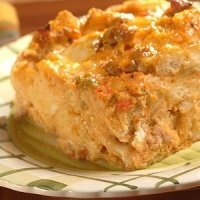 This recipe has been modified to make it lower in Weight Watchers Points. This takes some time so plan ahead. 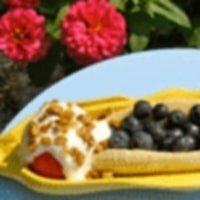 This banana split used fruit instead of ice cream so makes for a juicy breakfast idea. With all the flavors on this waffle sandwich there's no need to add maple syrup. Looking for a new dinner idea? 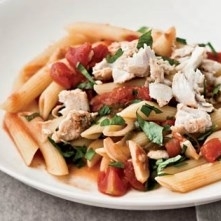 Then check out this fish recipe. 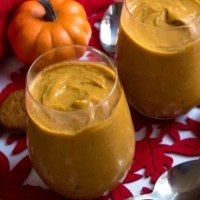 This is a quick and easy dessert that is a perfect and delicious way to end a meal. 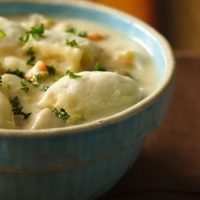 There is always room in your meal plans to have this yummy comfort food. Use up your garden harvest with these recipe ideas perfect for the fall weather. Track the points in the foods you eat with this free downloadable spreadsheet. It also tracks daily and weekly allowance and you can add in your activity points. Before you track your calories, learn what it is and how it's made up from the various macro nutrients.